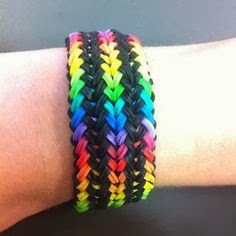 My daughter received a Rainbow Loom for a Christmas gift this year, and we are saving patterns we have tried, or patterns we want to try. Many of these were found just by simple online searches. Hopefully our research will help someone else! If I have improperly credited any photos or tutorials, please contact me via email so I can make necessary corrections. I am happy to provide proper credit and links if I used your tutorial or photo. Thank you!